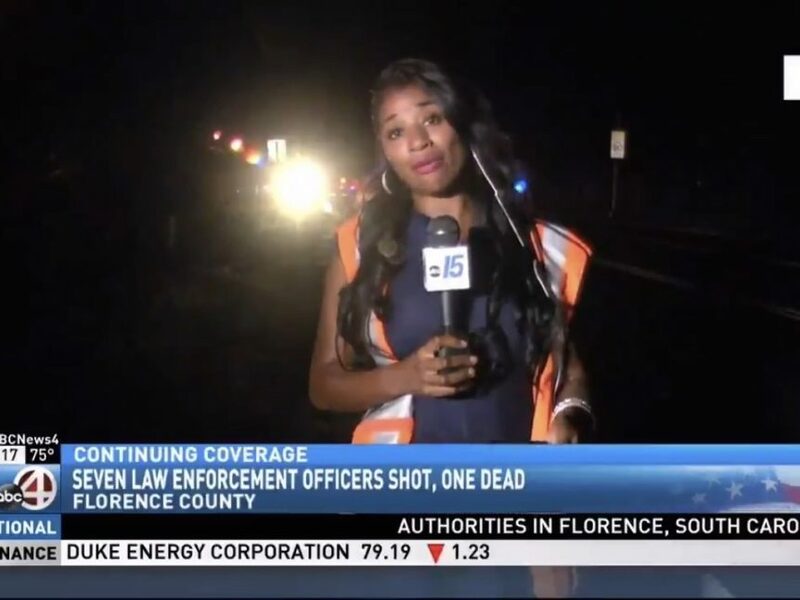 WPDE reporter Tonya Brown was sent out to cover a police involved shooting near Florence, S.C., when she got bad news. During the coverage, Brown learned her friend, longtime police officer Terrence Carraway, was the officer who was killed. Still, she kept reporting while trying to keep the tears in. “The officer that was killed was an amazing officer. I met him 22 years ago as a young reporter,” Brown said in her live shot. Investigators are searching for a motive in the police shooting that left six other officers wounded. You can watch Brown’s full report below.